If you feel like you don’t trust your data, there’s probably a good reason. It happens all the time; companies implement analytics, customize their solutions and don’t audit the implementation to ensure ongoing data accuracy. This leads to multiple inaccuracies, gaps in tracking, and — even worse — information that’s simply missing. 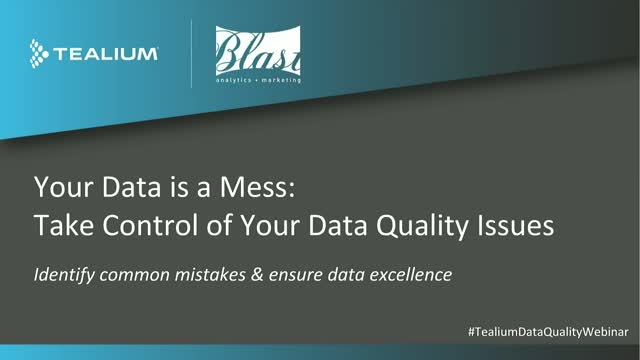 Inaccurate data can send a brand down the wrong path, leading to bad decisions and additional costs for tools and resources that could have otherwise been avoided. The webinar will conclude with a Fireside Chat with live questions from the audience on all things data quality.